This SUPREME mattress incorporates our amazing plush pillow- top on one side and firmer mattress non-pillowtop on the other side. Want a different feel? Just flip the mattress. An idea whose time has come, especially when you consider the poor value that a one sided "no flip" mattress offers. Please choose mattress size from the drop down menu above. 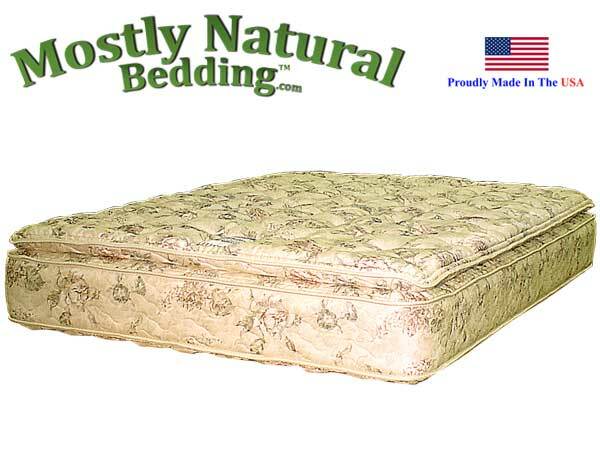 This is an Innerspring Mattress that replaces the conventional water filled mattress in a HARD SIDED waterbed frame. This mattress fits right in to your existing waterbed frame, with a 1 inch spacing around all sides to allow for padded side rails and enough space to change sheets.